Tiger Woods had a strange performance last week at The Northern Trust. He struggled mightily with his putter, which has been one of the strongest parts of his game since his return. Meanwhile, his driving accuracy, usually the weakest point on his stat sheet, showed massive improvement. That may all be thanks to a shaft change on his driver. Prior to the start of The Northern Trust, word spread that Woods was testing a new shaft and loft setting on his driver on the range. 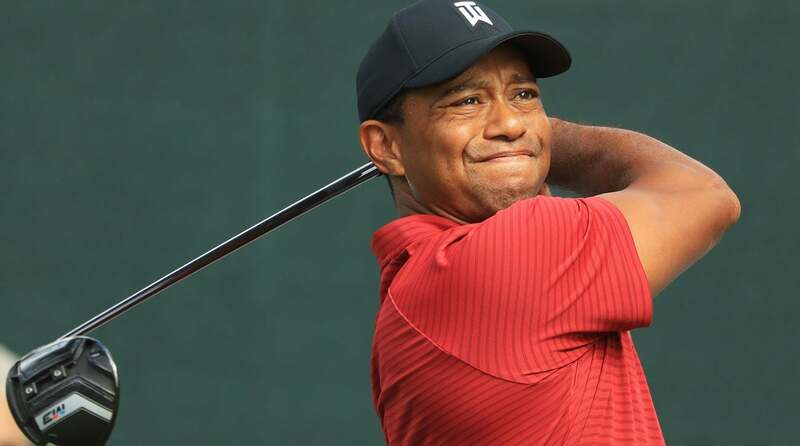 During his Tuesday press conference, Tiger said, "We've been working on it, experimenting with different shafts and different lofts on my driver and 3-wood... I've still got two more days and I'll still be monkeying around with a couple things and come game time we'll see what I go with." After his third-round 68, Woods acknowledged that he did indeed switch the shaft on his TaylorMade M3 driver. But it's not exactly a new shaft. Presenting the new-and-improved GolfLogix, the yardage-measuring, stat-tracking, putt-reading app for smart golfers According to Woods, it was a shaft model he used to play that he has now gone back to: "Yeah, it's a feeling that I know and I used to use it for a number of years," he said. "I know the graphics have changed a little bit but it's basically the same shaft. Went back to something that I knew and had success with, and it's turned out pretty good." The new (old) shaft is a Mitsubishi Diamana D+ Whiteboard, and the early results are promising. Tiger Woods watches his shot after hitting driver Sunday at the 2018 Northern Trust. Woods hit driver more times at The Northern Trust than any other tournament so far this year. In all, he hit 38 of 56 fairways for a 67.86% driving accuracy percentage, T27 in the field. The field average was 63.75%. That's quite the improvement over his past performances in 2018. For the year, Tiger is ranked all the way down at T159 in driving accuracy percentage. That means he jumped 132 spots at Ridgewood CC compared to his season average. His driving accuracy percentage is an ugly 56.35%, nearly 5% below the Tour average. Time will tell if the shaft change will lead to improved accuracy going forward, or if last week was just a statistical blip.